Tata Nano had been a talk of the town for quite some time and attracted buyers from various segments right from those who really had a need and also some who bought just because they wanted it. But as per the recent survey the sales of the Nano has hit a bottleneck considering just 948 Nano’s sold in the month of April. The decrease in the sales numbers has affected Tata Motors in a big way, since the Sanand plant in Gujarat which can produce 2.5 lakhs units is under utilised to lower than 20% of its capacity. To cope-up with the losses Tata Motors has been developing a hatchback codenamed X0, based on Indica. The X0 is currently developed at the Sanand plant and will be manufactured alongside of the existing small car. This will be done to optimize the use of the facility and also can reap more profits considering the tax benefits. 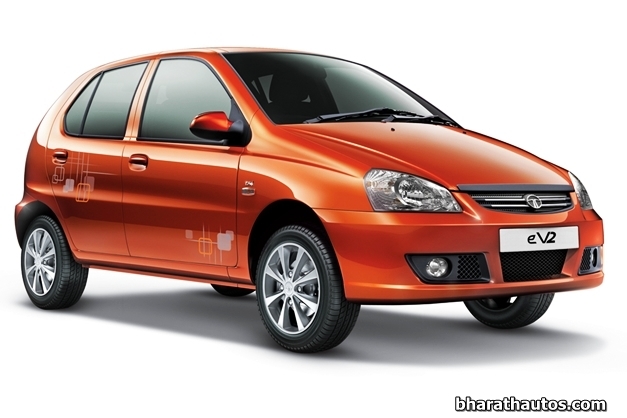 Tata motors have also planned to shift the production facility of the Indica Vista to its Ranjangaon factory in Pune to facilitate the production of the X0. The X0 will be available in a range of new generation engines that will include a 3-cylinder, 1.05-litre diesel engine, a 1.2-litre turbocharged engine and there is even possibility of having the 1.4-litre engine that is the powerhouse of the present Indica. The X0 will be positioned between the Indica and the Nano and will be available in showrooms by 2015. Next articleTata Sierra, the much missed SUV! "Hi I am Yusuf. An Automobile Engineer by academics and Design Engineer by profession. I have been obsessed by cars and bike ever since I was a child and would love to assist my father whose favorite pastime was to repair car or bike engines, fix electric motor, power generators, etc. in short.... almost everything. As I grew my passion for cars and bikes grew in multi folds, so much so that I pursued a course in Automobile Engineering as for my graduation. I love to keep myself updated about the latest trends in automobiles, the new technology used not just in the latest cars and bikes, but also the latest trends in manufacturing them. BharathAutos gives me a perfect platform where I can get the latest updates in the automobile industry and also to express my views about upcoming vehicles and also the news in around the existing cars and bikes."